We made it! We are at the northernmost point of Australia. Can’t believe it! We arrived here on Saturday 21st October at around lunchtime. 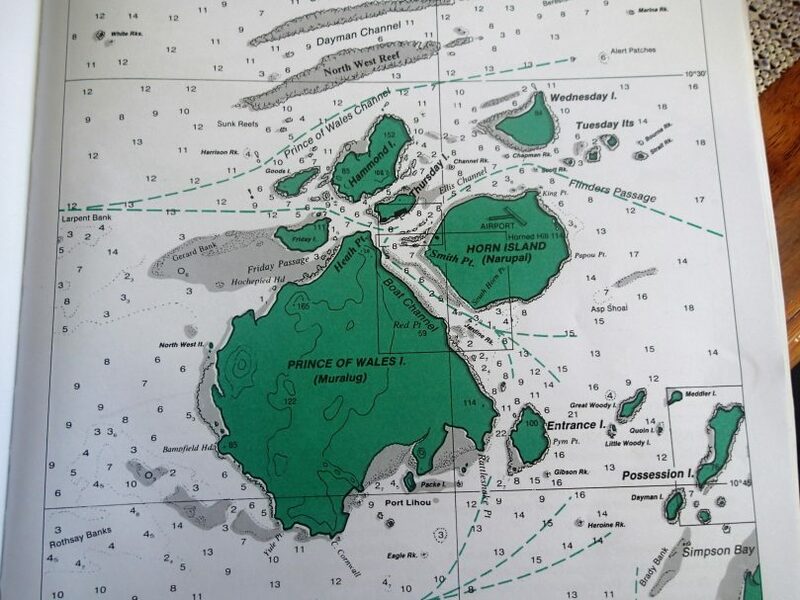 We had to go through a cool passage between Albany Island and the mainland, and then around Cape York, before we anchored at Horn Island. We spent Saturday arvo having a look around Horn Island, then on Sunday morning motored over to Thursday Island where we anchored last night. Sunday was a lovely but hot and sweaty day exploring the main town and this morning we went in for a yummy breakfast at a Cafe! Mango smoothies for the kids, fresh juice for me and real coffee for Simon. A rare treat and very much enjoyed. A sudden downpour of rain saw us dashing back to Red Dragonfly having just picked some mangoes that had fallen from a tree beside the playground at a public park near the beach. Love tropical fruit! Right now we are getting ready to depart and I’m hurriedly trying to get this blog post up before we go. We would’ve loved to stay here in the Torres Straits longer. There are so many islands to explore and we’ve heard about some great camping and fishing spots. But for now, we need to keep moving to get to Darwin and then over to Timor before cyclone season starts. Wish us luck for our next leg! It’s the biggest sail we’ve done yet. We’ll be at sea for around 5 days with no stopovers anywhere. 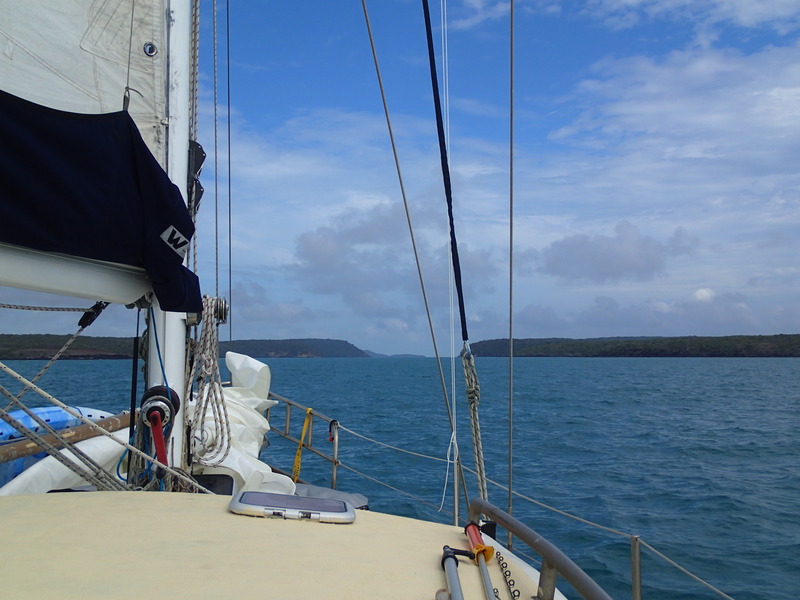 Approaching the entrance to the passage between Albany Island and the mainland. The struggles of living in such a remote place. 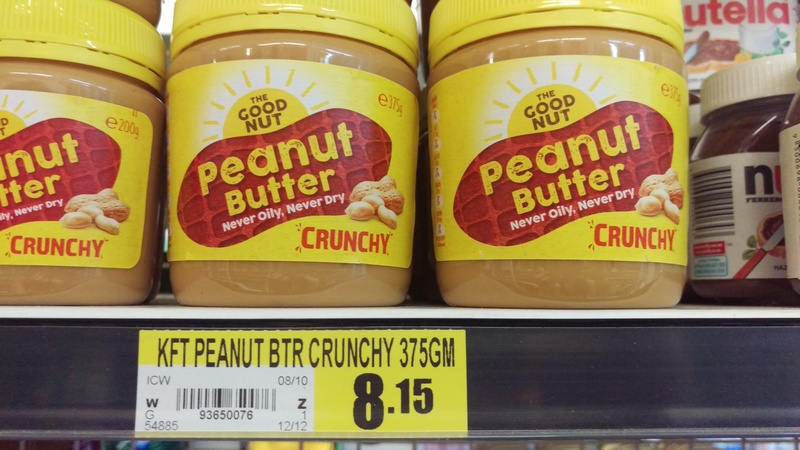 Food prices are high! The barge and ferry depot at Horn Island. 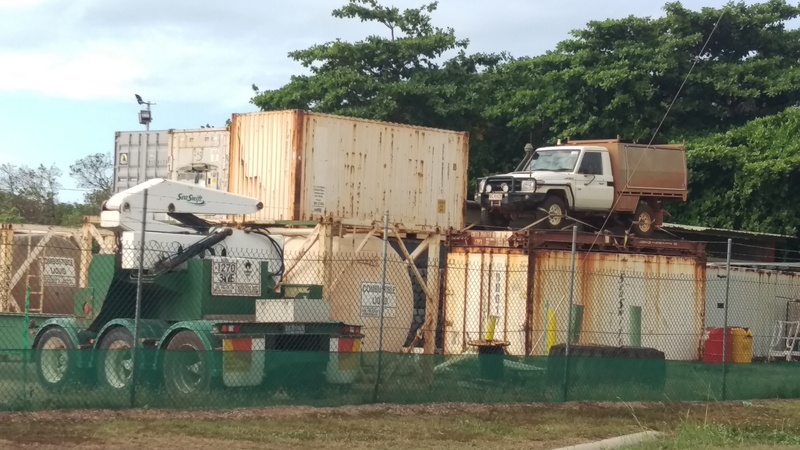 There is a company who delivers goods regularly from Cairns. Lots of containers are coming and going all the time. 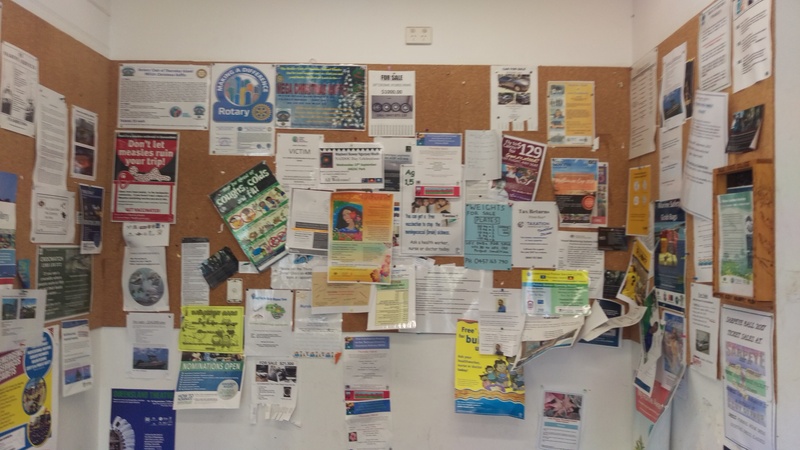 Thursday Island supermarket community noticeboard. 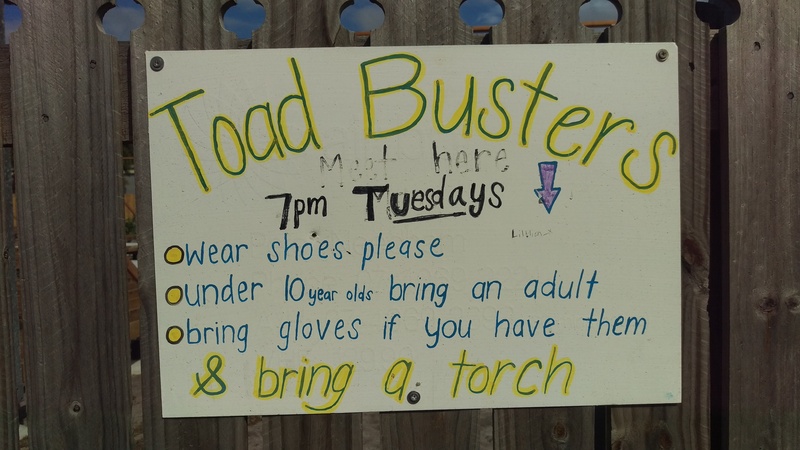 There’s a lot going on! 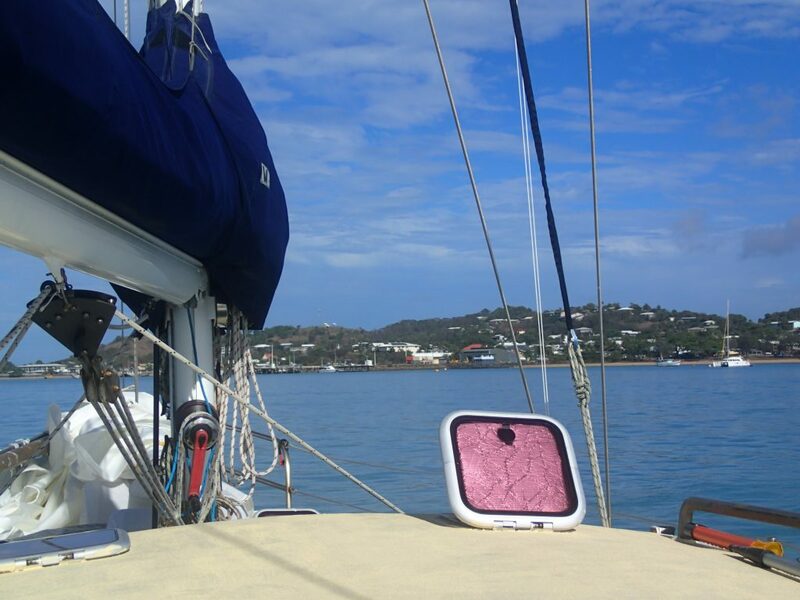 The view of Thursday Island from our anchorage. 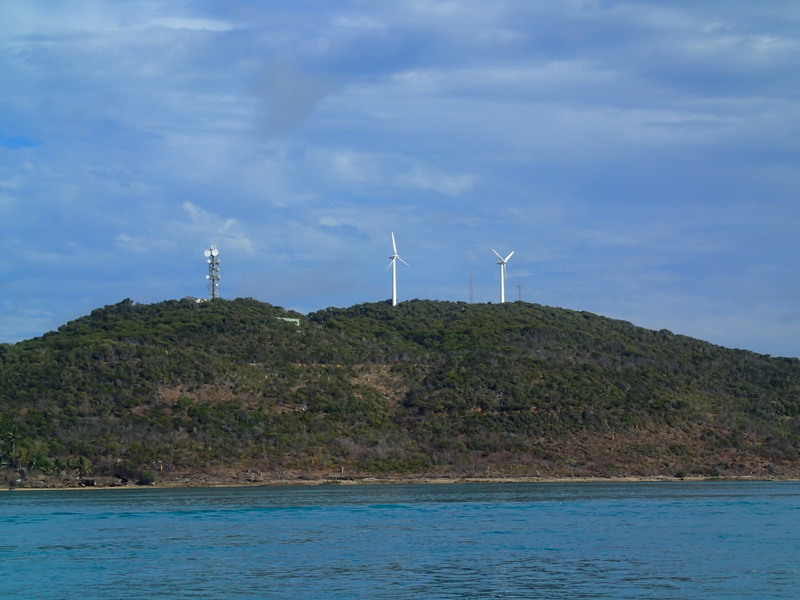 There are two wind turbines on Thursday Island. With the strong southeasterly winds they get here about 9 months of the year they are very effective.